Castrovalva and the Quintessential Phase of DOCTOR WHO’s 1980s Concept Album | Warped Factor - Words in the Key of Geek. 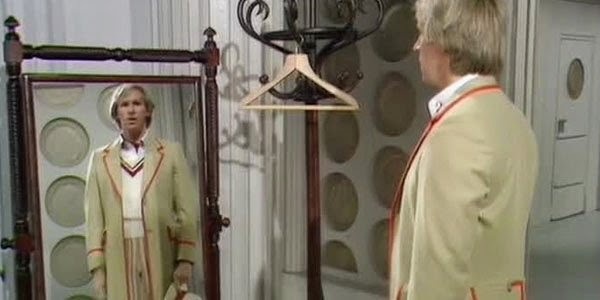 As we continue our look at each Doctor's debut adventure, Dominic Fellows examines the Fifth Doctor's first outing, Castrovalva. I saw Castrovalva by accident. I had gone to HMV in Birmingham to buy The TV Movie only to find that censorship issues had delayed it by a week. Fortunately ‘Castrovalva’ was being sold for £7.99 a bargain for a VHS tape in 1996, these days I’d think twice before spending that amount on a Blu-ray. So instead of watching a new Doctor battling The Master in an overly complicated plot involving the world being turned inside out, I watched… erm… a new Doctor battling The Master in an overly complicated plot involving ‘Castrovalva’ being turned inside out. I suppose I got some of what I expected. As a debut story ‘Castrovalva rather cheats doesn’t it? Coming fourth in the production of season 19 Peter Davison has settled in a bit and gives a very confident performance. This does neither him, nor the character any harm in this instance, but it does rather make his performance over the next three adventures very inconsistent, an observation that applies to much of eighties Doctor Who. He spends the rest of his tenure dealing with the advantages of having a young body and the frustrations of having an old mind, as he says ‘I feel quite like my old self or rather my new self’ and then later ‘well whoever I feel like it’s absolutely splendid’ This theme is very present during the Davison years, it is constantly trying to be ‘new’ while still frequently re-visiting the old favourites. This is the point when Doctor Who stops being just a fun family show and becomes a show with a history and therefore a show with expectation and a show not with casual viewers but die-hard fans. This is the point when the audience gets just that bit more critical. Perhaps the production team had this in mind when they decided to make this the very first story to be entirely devoted to dealing with post regeneration. Previously we had seen Troughton come to terms with it in about 2 minutes flat, Pertwee spent one episode in a hospital bed and Tom Baker had been barmy(er) for about ten minutes and that’s it. Presumably the feeling was that a now more mature audience would want to see a story that addressed the trauma involved in regeneration. There’s good and bad to this, on the one hand the Doctor becomes vulnerable and even fallible adding more jeopardy to the proceedings, there are several moments here where he just collapses for no reason. On the downside the story never seems to get going and is tends to be Peter Davison doing ‘I’m really tired’ acting for ninety minutes. But ‘Castrovalva’ succeeds where every other debut story does not is in its thought. All other debut stories are generally quite light action/adventure fare ‘Castrovalva’ is quite bold in saying ‘we are thinking about this’ and since ‘Castrovalva’ there have been a number of more thoughtful tales ‘Kinda’ and ‘Snakedance’ being obvious examples. Low on incident but big on concepts, this is the first time we ever see an unstable Doctor. ‘The Twin Dilemma’ would take this idea a bit too far but here it’s nicely judged. It also pulls a very neat trick of being a finale as well as a debut. Most obviously it brings the loose ‘Return of the Master’ (or ‘New Beginnings’ as the DVD set would have us believe) trilogy to a close, but perhaps less obviously it puts a cap on season eighteen. The move from the less silly adventures of the late seventies and into more science orientated tales of 1980/81 is well documented but it’s during ‘Castrovalva’ that a balance is found. Opinion on season eighteen is divided, some championing it as a high point where the show started to take itself more seriously, others deriding it as a dry and bloodless set of adventures where all the fun had been removed. ‘Castrovalva’ is full of the high scientific concepts to begin with, but as episode four comes to a close with a screaming Master and lots of running around we are in much more familiar territory. 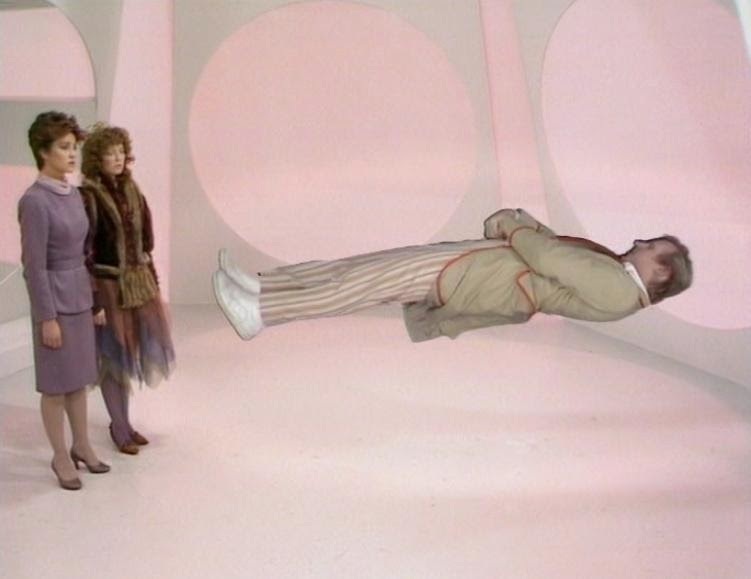 Eighties Doctor Who would continue to be full of high concepts with a good dollop of silliness occasionally to remind us all that this show is about entertainment. I particularly like Tegan’s introduction to recursion ‘If we had an index file, we could look it up in the index file under index file… I’m talking nonsense’ to me, this is a beautiful example of how legitimate science to the un-scientific mind can sound even more nonsensical than the stuff they make up, which is doubly ironic when you consider it was written by Christopher H. Bidmead, perhaps Eric Saward was having a joke at his expense? 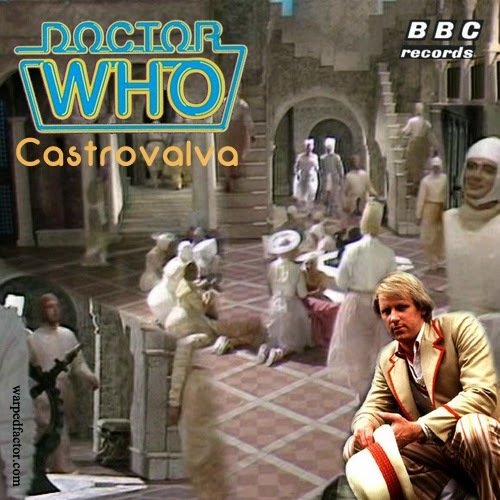 ‘Castrovalva’ may not be perfect and as probably the most low-key ‘opening night’ for any Doctor, but it succeeds in setting a template for much of the rest of the 1980s, it’s kind of like Doctor Who’s concept album and it’s not such a bad concept at all.